If your anything like me and have quite dry skin it can also lead to having quite a dry scalp especially when it's coming up to the summer months. Recently i found this to be quite a problem especially when i have dark brown hair the dry skin can be quite noticeable. I decided to try and find a shampoo that was natural and didn't contain any nasty chemicals this is when i found the Barefoot SOS dry scalp treatment on my pure, at £11 a bottle it is more of a high end shampoo but if you have quite a dry scalp and found lots of shampoos to be too harsh then its worth the price. I liked that this shampoo wasn't to heavily scented and oil based so it left my skin feeling very moisturised and healthy. I have found since using this for the past few weeks my scalp doesn't feel as irritated and i don't have as much of an urge to scratch my scalp. Overall i would definitely recommend this shampoo for those who suffer with a dry scalp. 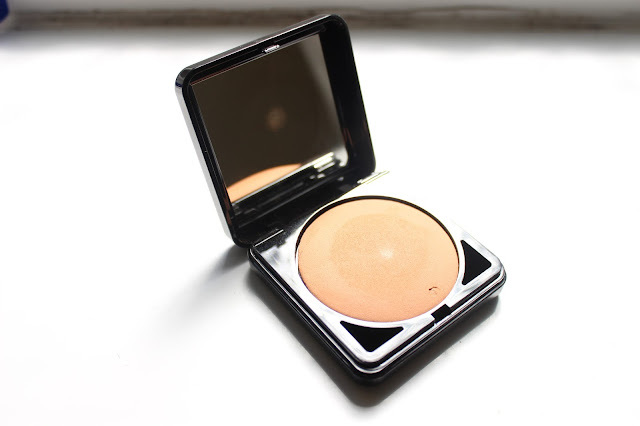 I've been on the hunt for a bronzer for a while now especially as i seem to use it a lot more in summer and i came across the alva organic bronzing powder which is got in beige rose, this comes with a sponge which is stored underneath the bronzer making it handy for travelling. I found this to be a prefect shade for me as i have quite pale skin some bronzers can be to dark for me but this is the perfect shade. I also like that it doesn't have too much shimmer in looks quite fresh and light on the skin. So far i'm really impressed with this bronzer.